The uncertainty on the possible outcome of Naga Peace Talk even after signing the 3rd August Framework Agreement and latest social-political developments happening in Manipur as well as in Nagaland clearly shows that Manipur is still winning in countering the limited progress made my Naga Nationalists. 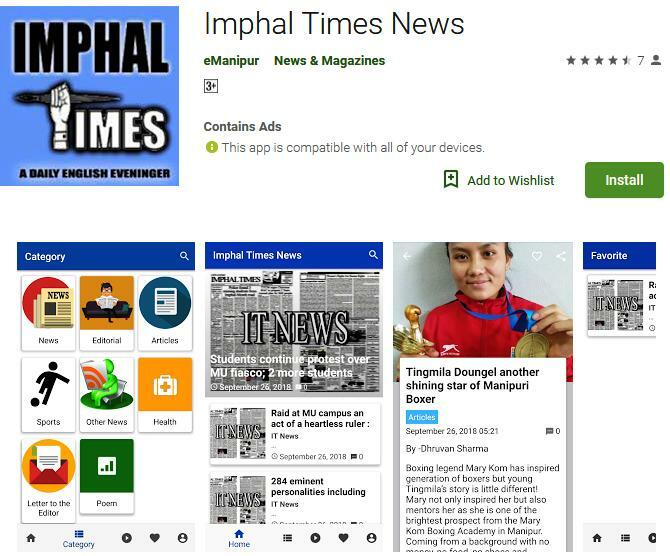 This article shall highlight how Manipur is still winning in all fronts. Observers and followers of Naga Peace Talks can easily evaluate on the limited progress made by Naga Nationalist in achieving its political goals by observing the responses of Manipur State Government supported by its loyal state citizens in strongly opposing any possible deal made between GoI and Naga Representatives whenever they suspect the agreement to be surpassing Manipur state existence. For easy understanding and to know latest updates on the status of Naga Peace Talks, one can begin by analyzing the outcome of June 2001 Imphal Uprising, Mao gate episode and finally the signing of 3rd August Framework Agreement 2015 and its aftermath rumors of extending Article 371 A to the Naga territories of Manipur and the constitutional manner in which Manipur Government deals with Central Government and the Naga Nationalist to keep Manipur integrity intact. Till today, counting from the beginning of Naga National Movement touching the period of 1949 Manipur merger with Union of India, Manipur State government has done quite well in safeguarding the interest of Manipur State where an inch of present Manipur state territory and its area is not decrease in size. What is remarkable is that Manipur state government supported by its loyal citizens by banking on the complex working mechanism of Indian Constitution along with peoples solid support has withstood the continuous attack of Naga Nationalist armed groups and Kuki Nationalist armed groups in breaking up Manipur. The funnier side is that the Manipur State loyal citizens composed mainly of Meiteis brothers don’t even owned areas of lands except for cases like Jiribam, Moreh etc and few settlements in the hills of Manipur traditionally inhabited by Nagas and Kukis yet the policies applied by them has till now keep Manipur winning in all front and observing the unchanged mindset of Naga and Kuki decision makers, one can conclude for time being that Manipur will keep winning for longtime from now as they are lead by superb organizers and strategists. While on other side Nagas and Kukis are still ferociously debating on their history by quoting colonial British administrative records and reports not realizing that they share common interest and are meant to be allies if they are serious at all in achieving their political goals in the near future. But loving Christian Nagas and Christian Kukis belonging to the same breed knows only the language of violence and intimidation, treachery, double standard game and nothing else. It is open secret that Manipur Government has always capitalized on the historic enmity between Nagas and Kukis of Manipur to protect Manipur state integrity. Naga-Kuki uncompromising attitude has always put Meiteis in advantage and the latest happenings show no sign of any compromise between the two major tribes of Manipur, this reality again confirm that Manipur is still winning. Keen observers of Naga National Movement know that Manipur is the key battle field apart from Assam and Arunachal Pradesh on Indian Territory to decide the final outcome of Naga Peace Talks. They also know that Meiteis, Nagas and Kukis are major players in Manipur State politics where the stand of anyone of these ethnic communities determines the nature of its state politics even if the Meiteis love to put Manipuri identity tag to the Nagas and Kukis living in Manipur. In fact such policies implemented by Meitei’s population created more identity crisis for the tribal’s who own and love their own ethnic identity and detest the name ‘Manipuri’ given to them by the mighty Meiteis with aims and objectives to preserve the unity and integrity of the state. Having said this, I also don’t deny that many tribal’s politicians and common people exists who are now more Manipuri and Meitei than the people born into a Ethnic Meitei where these Meiteinized and Manipurinized (for better understanding) tribal populations are extremely loyal to the Manipur State and has contributed immensely in safeguarding the state integrity both in the past and present. Yet as a believer in democratic ideals and constitutional politics, every individual right to decide what he feel is right and good for him has to be respected and I don’t condemn Naga tribal populations who wants to protect Manipur state integrity. In the same line, even Naga decision makers has to give up full dependency on GoI to fulfill its demand and ought to change tactics by engaging in constitutional war after regaining the trust of mass populations to achieve its political goals before the verdict of final defeat hit them sooner or later. In addition to the recent drama of strikes and public protest carried out in Imphal on Naga Framework Agreement as well on reports of extending Article 371 A in Naga territories of Manipur, the statement of Manipur Chief Minister Mr. N Biren Singh, stating that there was no hurry to summon special session of the state assembly to discuss the Framework Agreement signed between Centre and the NSCN IM since the Parliament had not tabled the matter during the last monsoon session, fully confirms that Manipur is still winning.